The youth is the future of the country and with busy parents, poverty, immorality and drug influences, they need godly influencers. We are a volunteer-based Christian ministry with a mission to equip Generation Z with values formation rooted in Filipino and Biblical morals. John15.Rocks is a non-profit organization registered with the Securities Exchange Commission #CN201735532. You can help by clicking the “donate” button below or click ‘Join us‘ if you want to help as a volunteer. You can also give donations in kinds, such as old computers or school supplies. 1. 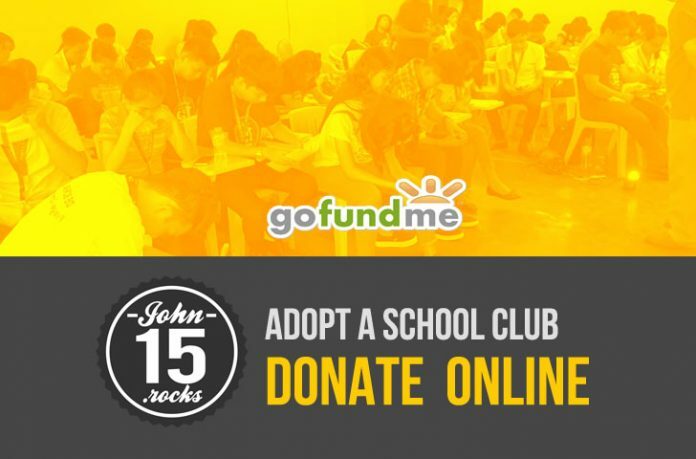 Mobilization of volunteers in public schools, where youth groups are being established under the John15.Rocks School Club. This project began in 2017 and we have MOU with several public schools in Pasay and Cavite areas. 2. Community youth education project where we teach, inspire and motivate the less fortunate students. We do this by sponsoring sports activities and Bible study groups.